Reviving an abandoned search you started earlier this year? Revving up a lagging, low-energy job search? If you find yourself in any of the above situations, the time is right for you to be pro-active when it comes to your career. Fall has arrived, and with it opportunities. . . . So, for those who have been thinking about a career change, the time is right. Because just as you get down to business so too do companies who use the autumn months to review their staffing needs. Many employers utilize the last several months of the year to adjust their staffing requirements for the 4th quarter and the beginning of the new year. Companies will review their current and anticipated business, including contracts, and the needs of both revenue-producing and support services departments for staffing needs. Consider too that in areas of the country whose business environment includes an active government contracting sector, many firms choose to begin their new fiscal year October 1, in conjunction with the federal fiscal year. Many companies begin hiring to staff contracts they have bid, either when awarded or in advance with contingent offers of employment. So, if you are considering a job change, or career advancement, take advantage of the opportunities that the season of Fall brings. 3 Months to Go - Make them count! 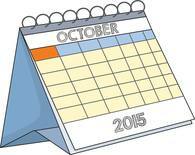 If a new job or career advancement is a goal, get down to work in the remaining months of the year. 1. If a new job is on your mind, do some exploration and research of your target companies to discover current and potential opportunities. 2. If an expansion of your role is a career objective, do the same exploration. 3. And, if you are seeking a career transition to a new type of job, locale, or industry, again, utilize these last three months of the year to make it happen, or to get a jump on a job change in the new year. However, as I’ve cautioned many job seekers, don’t start your job search “in the middle.” Too often, job seekers, in their initial zeal and enthusiasm, begin their activity before they’re really ready to begin. They wind up doing damage to themselves and their credibility. Or, they jump back into a lagging or altogether dormant search without doing some analysis of their earlier activity and their marketing tools (resume, cover letters, marketing plan, etc.) to see what didn’t work or where they went wrong. So, begin at the beginning. Take some time to think about your job search objective and a strategy for achieving it, as well as preparing and/or analyzing your existing personal-professional marketing tools in order to begin or revive your job search. To maximize opportunities offered this fall, take these pro-active 5 steps. · Make sure your resume is focused and the information it contains is aligned with your goal. o Too often, we see job seekers who want a certain type of position, but whose resume does not support their being considered as a serious contender for that type of position. The result for the job seeker is a lot of submissions, with little or no response from hiring firms. o For example, consider an engineer who desires a managerial role. If he or she does not show any type of “managerial” experience such as overseeing a project, leading a hands-on work team, or filling in as the “acting manager” when the boss is on leave, his or her resume will be put aside by the recruiter in favor of one that does. · Make sure your resume is current. o Show your most recent position, with correct dates (years) of employment: If you are still employed, you can state “To present.” If you are no longer working for that employer, state the year in which you stopped working there. o Use current wording and jargon, i.e., Human Resources Director is more current than Personnel Director, etc. · Show results to make a stronger argument for hiring you for a position. o Too often candidates for jobs write resumes that are simply a “laundry list” of duties; they show no results from performing those duties. That resume will also be put aside by the recruiter in favor of a resume that shows not only the “duties” the job seeker performed, but what he or she accomplished by performing those duties. 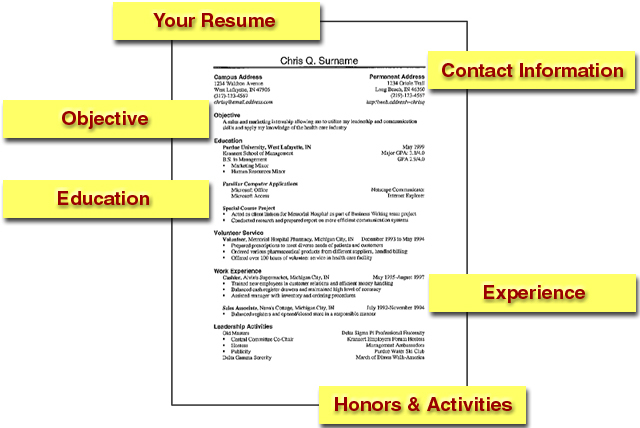 · Make your resume easy to read. o We still see resumes that contain paragraph after paragraph, and page after page of descriptions of projects a job seekers worked on or about companies they worked for. Worse yet, they contain lots of industry or company-specific jargon, but they tell little about the job seeker, i.e., what they have done and or want to do. In this case, a recruiter will put aside this resume in favor of one where the applicant mentions projects or companies only in the context of their role and what they achieved in performing that role. Remember, and this is the crux of the matter: The job of your resume is to get you through the employer’s door. It does not get you hired; it just opens the door to further consideration. Your goal is to work in the type of a position you are applying for (Shown in your Career Summary; no “objectives” are stated on resumes). You can show results (called Accomplishment Statements) of you doing so. Your resume needs to sell the recruiter and hiring manager on the fact that you can do the job, and you would be a good candidate to interview. The ‘L’vator speech is your most frequently delivered marketing tool because you will use it 1000s of times during your job search to answer the questions: “So what do you do?” or “What do you want to do?” Everyone from friends and neighbors to network contacts and interviewers will ask it of you. · The job of the ‘L’vator speech is to get and keep the conversation going. It needs to adequately tell the listener what you want to do and why they should listen to you, unlike a rambling response or unclear answer that can stop the conversation in its tracks. o If you found your previous networking conversations, casual conversations, or interviews non-productive, it may be that your ‘L’vator speech was ineffective. You didn’t tell enough, or you told too much extraneous information. Too often, job seekers or career changers think that “just talking to people”comprises networking. It does not. Most effective, pro-active, and successful job seekers will tell you that they had a plan for their networking. They devised their plan and then they worked it! It was not happenstance or luck that led them to a key contact whose recommendation to a hiring manger made the hiring difference! Networking is the name of the “job seeking” game. It’s popularly said that well over 80% of opportunities come about via the “Hidden Market,” and I think it’s even higher. The Hidden Market contains career opportunities that never, or at least not initially, see the light of day in public advertisements. These are either (1) actual but unadvertised open positions, or (2) potential ones that are not yet created but for which a need exists. The only way to access these opportunities is to work the Hidden Market via networking. Plan your networking to be most effective when seeking a new position or role. · Create a written, comprehensive networking plan. Yes, that’s right, a written plan of your contacts and referrals. Your plan should identify the people in your network; don’t make the mistake of limiting it to professional contacts. Your plan should include people from all sectors of your life, listed by sector, including professional contacts, service providers, organizations/associations, clubs and hobbies, friends and family, etc. · List those you know now, and expand it as you meet, interact with, and receive referrals to new contacts. and ultimately to a key contact who can connect you with opportunity. Create, work, and consistently update your networking plan to uncover career opportunities. Don't approach the employment marketplace "helter-skelter." It is an approach akin to spinning your wheels, i.e. moving fast and going nowhere! Just as you did in Step 3, take the time up front in your search to develop a written plan to approach the employment marketplace. It is called a "marketing plan” and I would venture to say is a step that is most often skipped by job seekers, to their detriment, because it is the tool that helps you keep it all straight. How do you keep it all straight? A Job Search Marketing Plan creates order out of chaos! I have seen it happen for job seeker after job seeker. · I have watched them go from being overwhelmed to feeling in control. · I've seen chaos replaced by calm and order. What a marketing plan does is really simple. ■ First, it first identifies your competency areas, those areas of skill, knowledge, and abilities you possess and employers hire you for. ■ Second,it then identifies types of industries, and companies within those industries, that employ your competencies. 1. Identify and write down your areas of competency. a. List up to 3 (1 or 2 is OK; more than 3 gets unwieldy) main areas of competency, skill, and knowledge for which you have been hired. b. For example, an IT manager might list: Software design, leadership/management, and budgeting - 3 areas of skill and knowledge in which they excel and have demonstrated achievement. 2. Identify industriesthat value and use your skills and experience. 3. Identify companieswithin those industries, and research the companies for jobs and/or needs within those companies. 4. Target and contact these companies for opportunities. Pro-actively manage your job search or career enhancement project as you would any important project. Having done Steps 1 - 4, you are ready to step out into the employment marketplace and implement your search. · Your tools will help you plan daily and weekly activity, and keep you focused on your objective. · Your networking and marketing plans will provide direction for daily and weekly “To Do’s” and keep you apprised when you need to follow-up and follow-through. Note too that your personal professional marketing tools are viable tools that will change as you conduct your search. Keep your tools current and updated as you gain information. By taking the steps described in this article, you do your utmost to ensure that you are working productively in a focused manner and keeping your eye on the prize! You lessen the chance you will waste time, energy, and resources on activities that take you nowhere. You increase the chance that you will spend your time, energy, and resources on activities that lead to opportunities. And, the big win: You raise the odds that you will have a new job or opportunity to celebrate in the coming months . . . and wouldn't that be great! Author’s note: There are many additional personal-professional marketing tools that should and will be developed by pro-active job seekers and career changers. These include: Cover letters, annotated reference lists, portfolios, social media, including Linked In profile, Thank You letters, personal-professional websites, etc. The tools described in this article are those that enable you to (1) begin your search in a productive way, (2) get you off on the right foot, (3) so that you don’t shoot yourself in the foot by providing mixed or incorrect messages about what you want to do and your ability to do it!